Gotta give props to the head honchos at QYK for pulling this off. I didn’t think we’d top last year, but the third QYK Guitar Pull will be the biggest yet. Literally. 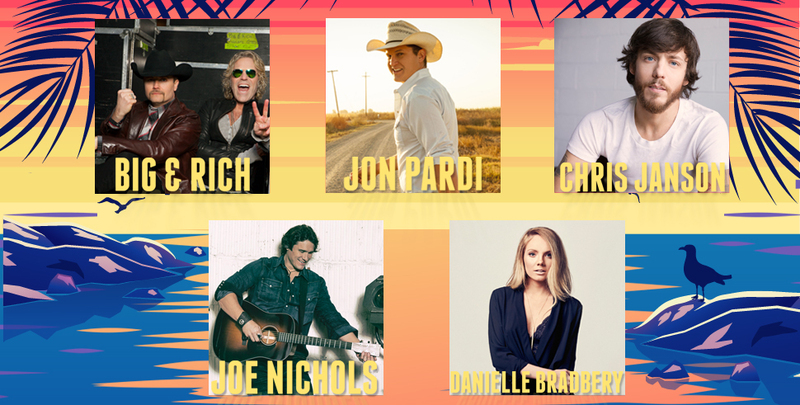 Big and Rich, Jon Pardi, Joe Nichols, Chris Janson and Danielle Bradbery on one stage… at the same time? **** yeah! The guy was so humble. A lot of artists at festival shows like this when there are a bunch of artists on one bill end up hibernating in their trailer. They’ll just come out for their performance and head right back to their trailer. Chris hung out and talked to everyone – whether they worked for the radio station or in catering. He handed out and signed a bunch of harmonicas. A few years and a bunch of hits later, he’s still as humble as ever. Grab tickets at 995QYK.com. They go on sale at 10am this morning. The QYK Guitar Pull sells out every year and even though it’s at a bigger venue this year, it’ll still sell out.